I'm in a fun swap with 6 other demonstrators and every month we get 6 cards in the mail. 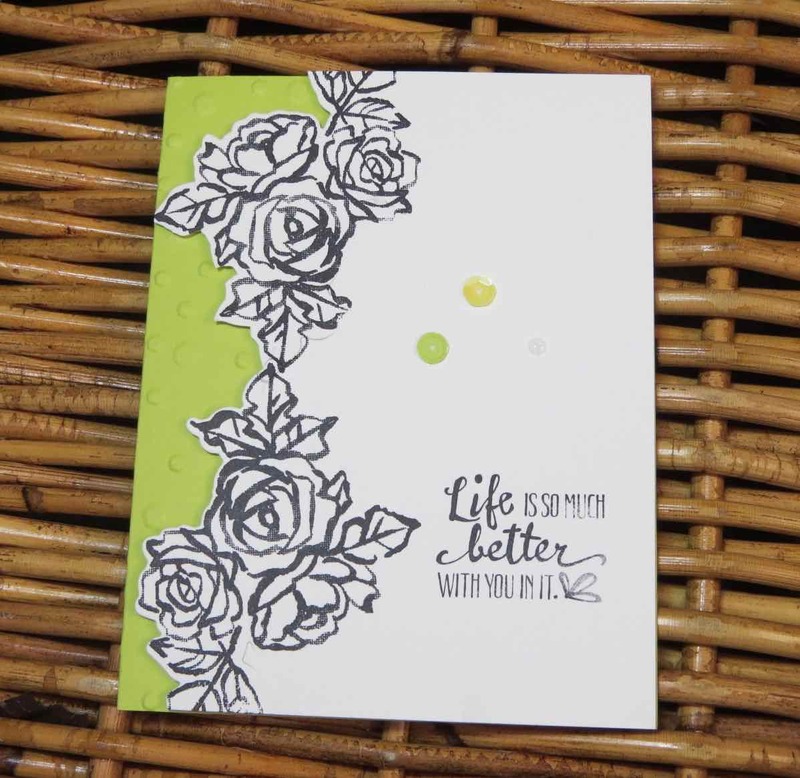 The theme this month was Petal Palette stamp set and Petals & More Thinlit Dies. 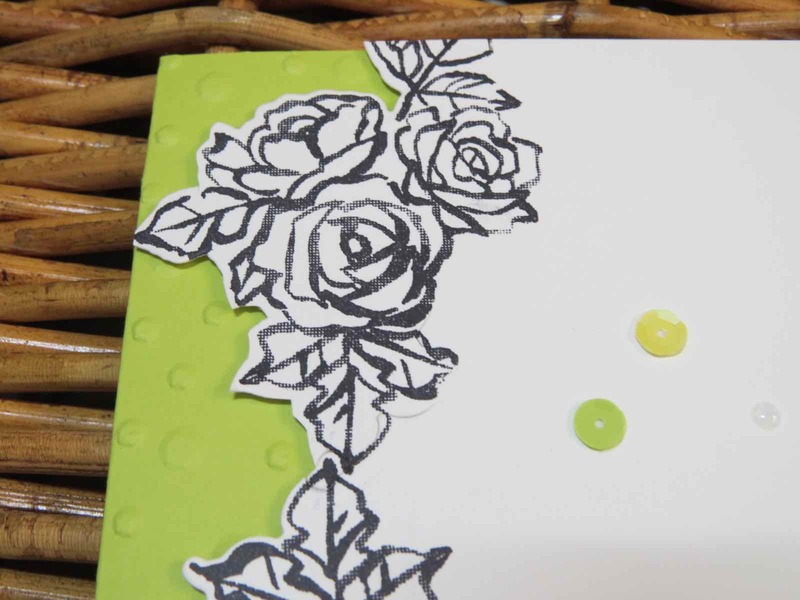 This pretty card is from Sue Patrsyk. I thought it was a simple card until I tried to remake it. 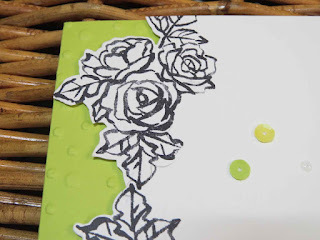 It's a partial die cutting technique card and very brilliant. 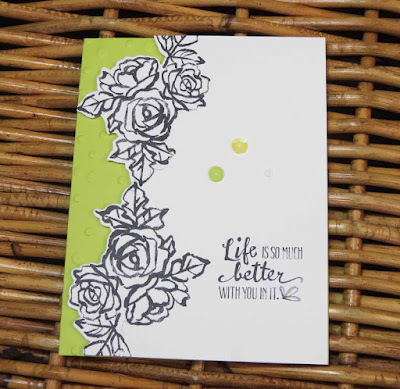 I'll show you how to make this card on my facebook live party tonight at 7:00MST time. My facebook page is a closed group but send me a request and I'm happy to add you. Here's the link Karinas Kreations facebook page.